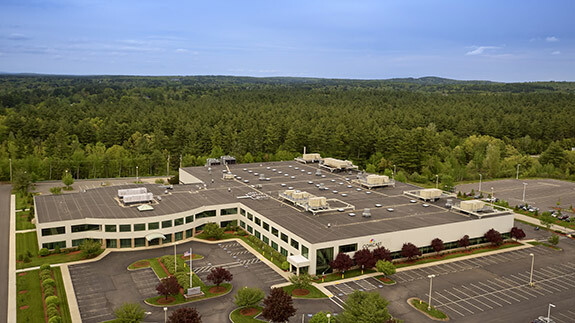 Hudson, New Hampshire is home to 55 Executive Drive, one of New England's premier office and call center properties, purchased and converted from manufacturing use by Farley White Interests in 2013. 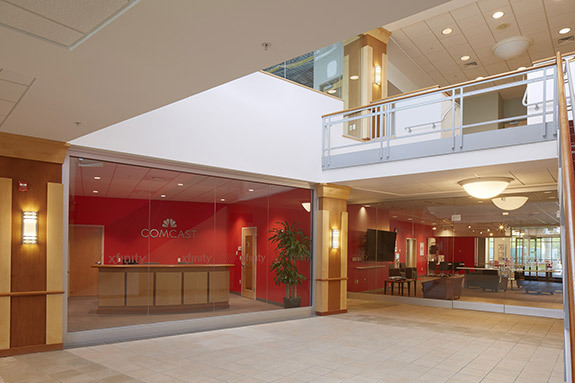 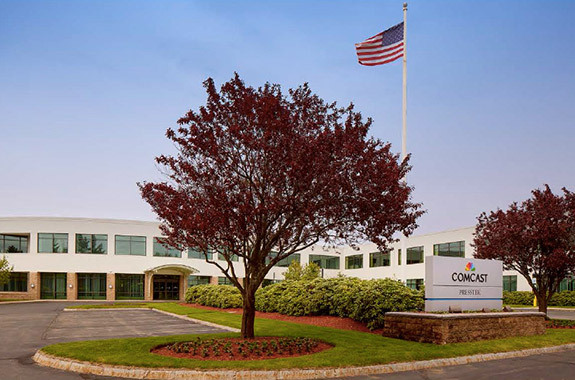 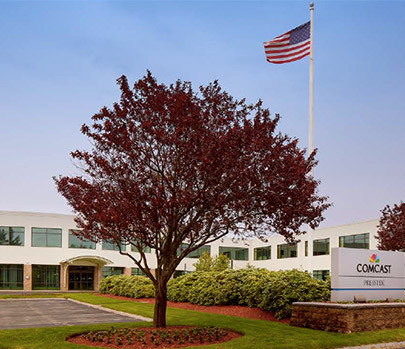 The two-story, metal panel and glass 166,000-square foot building is fully leased to Comcast Communications, and has a robust technological infrastructure to support the state-of-the-art voice and data feeds necessary to service all of their New England customers. 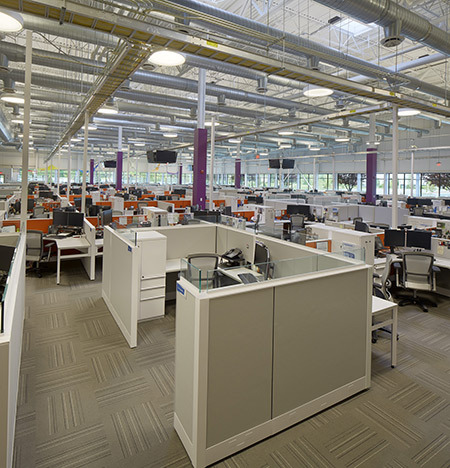 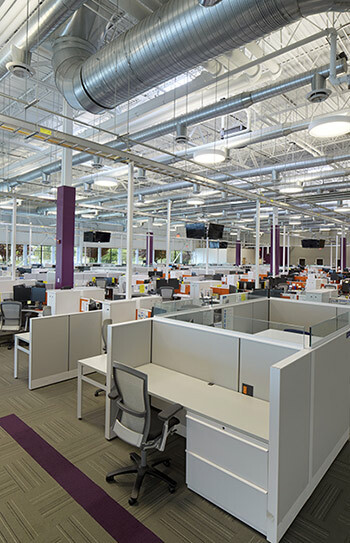 The call center conversion was completed on a compressed schedule with phased move-ins. 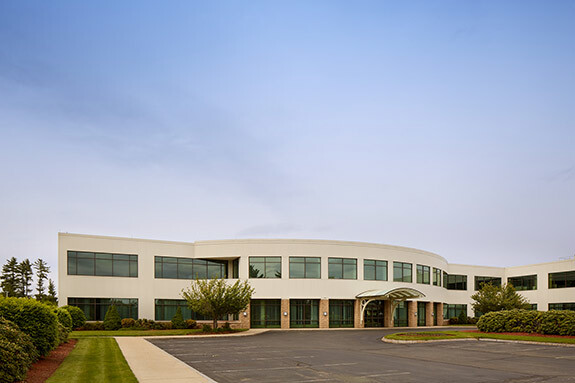 55 Executive Drive features two stories of headquarters-quality office space combined with an extremely efficient call center floor with high-ceilings and awash with natural light. 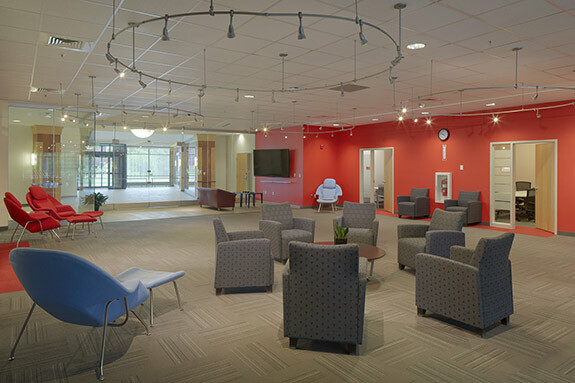 The building offers employees numerous advantages and conveniences, including comfortable break-out spaces, a full-service cafeteria, a fitness center and plentiful parking. 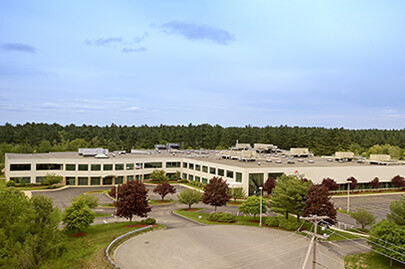 The building's location just off Exit 2 of the Everett Turnpike, minutes from the Massachusetts border, is extremely convenient for a diverse and well-educated workforce living in both Massachusetts and southern New Hampshire. 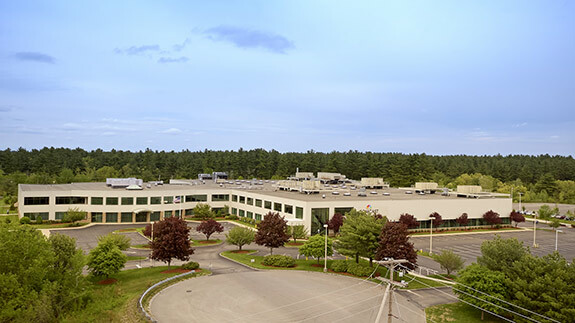 The property sits at the base of the robust Nashua, NH retail corridor, offering a wealth of amenities and conveniences to 55 Executive Drive's employees, including more the 50 restaurants, coffee shops and major retailers within a 10 mile radius.